After NBCNews.com rolled out a new look in February, which was met with vocal negative response as well as a quieter praise, the network has added a “Feedback” tab to its page. The tab, which is located on the right side of the page and remains visible even as users scroll down, opens another window that allows users to rate the page on a scale of one to 10 as well as submit a suggestion, compliment, problem or other feedback. 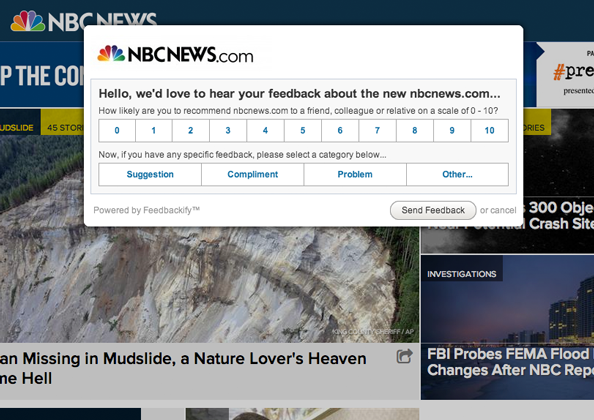 NBC News is using Web service Feedbackify to serve the widget and collect feedback. NewscastStudio’s blog post on the new site has received a significant number of complaints about the new design — so much so that we had to add a text blurb explaining the blog post was not an official way to send feedback to NBC while also providing a link to the NBCNews.com contact page. 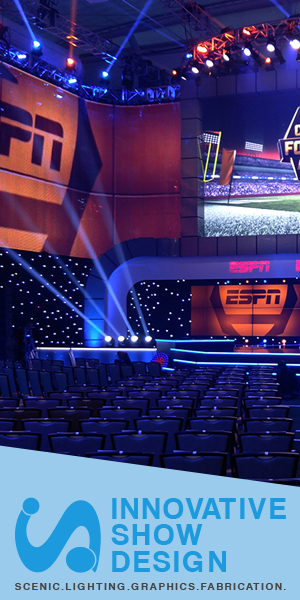 The network’s social media pages have also been flooded with feedback, so an in-context, official channel to provide NBC with comments is a welcome addition. NBC relaunched NBCNews.com in February after a years-long process of moving away from the MSNBC.com brand online.